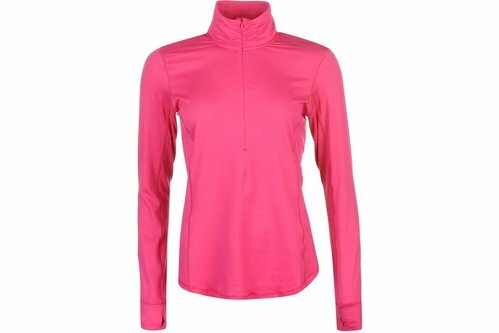 Layer up for chilly workouts with this Brooks Dash Half Zip Top, which features a soft stretchable material that is close fitting without restricting movement and enhanced with DriLayer, which wicks sweat away from the body to keep you dry. The top has a half zip fastening, a stand up collar, long sleeves and thumb holes plus flatlock seams to reduce irritation. Brooks branding to the left shoulder completes the design.